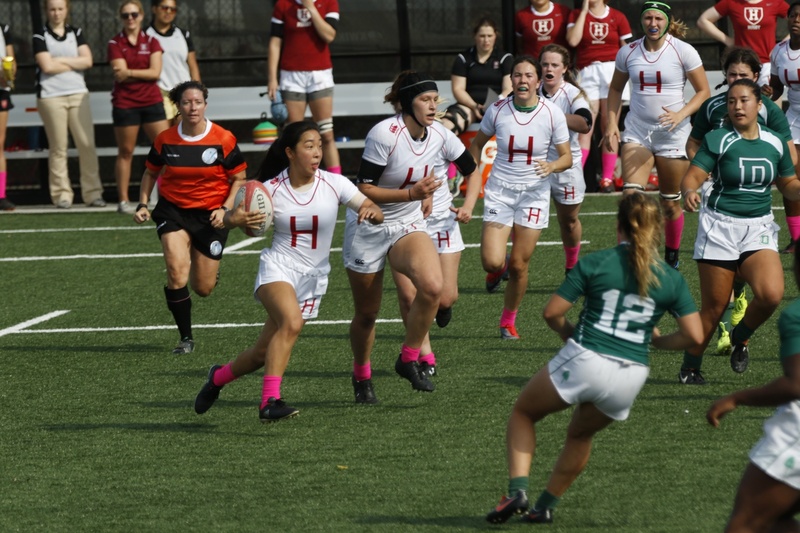 Through strong chemistry and stellar recruiting, Harvard women's rugby stormed to the NIRA National Championship Game. This season, the Harvard women’s rugby team has proven it deserves attention. The program has continuously been among the best in the NCAA, and its 2018 campaign showed no change. The program’s greatness only becomes more impressive when the difficulty in recruiting high school rugby players and walk-ons is considered. Harvard’s recruitment of high school rugby players is a complex process. Primarily, since rugby is not exactly an established and common sport for kids to grow up playing, the sheer number of high school players is much smaller compared to other sports, such as soccer or basketball. 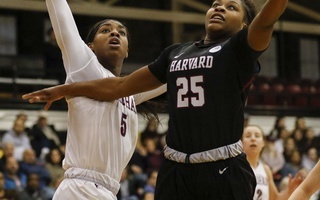 In addition, the players must be strong academically to be accepted into Harvard. The coaching staff scouts all over the world to identify top talent. High schools in California, Utah, Colorado, and some midwest states are regularly scouted, in addition to Canada. The coaching staff is also developing relationships with high schools around the world to find great rugby players. The team also heavily relies on walk-ons to contribute to the team’s success. This recruitment of walk-ons consists of multiple challenges for the coach and for the players, including the NCAA clearance process. The NCAA clearance process is time-consuming, complex and at times, discouraging. 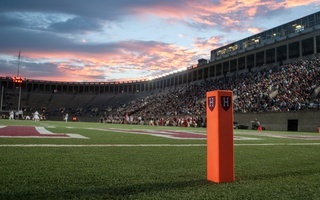 The team uniquely has a “recruitment chair” whose job is first to convince Harvard students to join rugby, and second to help with the logistics of the NCAA clearance process. Coach Denham suggests this position is incredibly helpful for the success of walk-ons in this process. “We are very lucky to have incredible recruiting chairs on the team who have carved out a detailed timeline from start to finish for walk-on recruiting, which has helped make this clearance process very efficient,” said Coach Denham. The tryout process for walk-ons differs from other varsity sports. Because the team needs walk-ons to field enough players, the coach looks for crossover athletes. Since the team looks for these athletes, the focus is more on athletic ability and competitiveness as opposed to particular rugby skills. Furthermore, Coach Denham looks for players who will fit into the rugby team’s culture. The specific skills of rugby can be taught, but the ability to be competitive as well as a good teammate is most important. However, Coach Denham views the initial skill discrepancy for crossover athletes as the second biggest challenge in walk-on recruitment. Similar to the job of the recruitment chair, returning players are expected to play a role in reducing this challenge. Understandably, Coach Denham believes the early stages of becoming a rugby player for crossover athletes can be discouraging, so the advanced, experienced players are called on to offer support. For walk-on Erica Jarrell, the team’s commitment to helping her understand the game made her feel welcomed and appreciated. The team creates a culture that is inviting and exciting, but as an intense, demanding, varsity contact sport, rugby is incredibly physically and mentally taxing. Senior Caitlin Weigel explained the difficulty in finding women who have the “willingness to put their body on the line.” However, the physicality of rugby does not phase her. 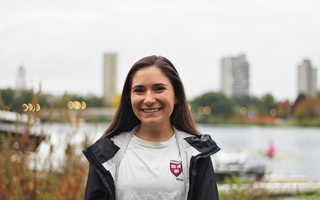 She works to convince potential walk-ons that joining rugby will only enhance their college experience and not limit the opportunities Harvard has to offer. Perhaps the team’s extensive focus on creating an inviting atmosphere for recruits and walk-ons contributes to the team’s success. The emphasis on team chemistry was clear from the beginning of this fall season. The team traveled to Canada during pre-season and the players were able to get to know one another off the field. The team also bonded through mindfulness practices early on in their season. Okine agreed with her teammate. The bond between the players off the field clearly carried over into the rugby season as many players were expected to step up into new positions due to injuries and lack of personnel. The team indeed excelled in the postseason. Its historic season culminated in the team’s first ever appearance in the NIRA National Championship in November. Though the game ended in a heartbreaking 14-19 loss to Dartmouth, they had beat the Big Green earlier in the season in the Ivy League Championship,12-3. This win was ultimate highlight of their season. Both Okine and Weigel described the night before the big win in the Ivy League Championship as a very special memory. It was another symbol of the team’s strong chemistry and love for one another. The joy and love was obvious to Okine as well. For her, it was a moment of unity and trust. — Staff writer Lucy Connor can be reached at lucy.connor@thecrimson.com.